Some of my best friends came from behind bars. Over the years we've enriched our lives with several adopted, rescued furry friends, but the ones below came from animal shelters. All save one were scheduled for euthanasia. Benji was on death row at the Lawrence Humane Society. A German Shepherd and Doberman Pinscher mix, at about 3 months old he had less than a week left before he would be euthanized when I first saw him. I'd gone along for the ride with some friends who were planning to adopt. A fulltime college student living in an apartment, I had no business even considering adding a puppy to my life. But I did. At the "midnight hour" I became the cavalry and rescued this pup who would become the love of my life for the next 14 years. A three time cancer survivor and amputee, my tripawd Benji and I had some amazing adventures together. Sherman was all alone in a cage at Wayside Waifs the day the Dog Daddy and I went looking for a new friend for Benji and to celebrate the farm we'd just purchased. 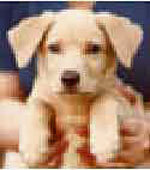 A yellow Lab mix puppy who'd been picked up as a stray, we fell in love. 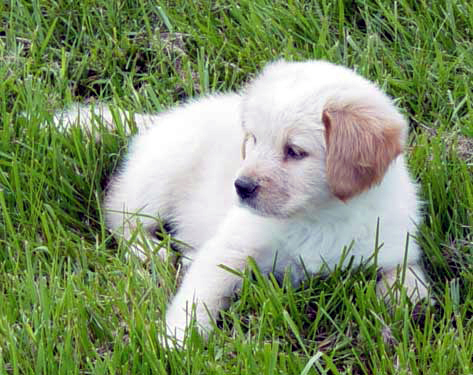 When my beloved Benji succumbed to liver failure, my fix for heartbreak was a puppy. The only black one in a litter of Lab mix puppies, he remained unadopted at the Humane Society of Southwest Missouri and didn't have long before his time was up. Spanky Doo was smart as a whip, ready for anything, and soon became the boon companion of our Sherman. We found Jeffie, our cush dog, on Petfinder Jeffie, his two brothers, and his Golden Retriever mother had been picked up as strays and were living at Dogwood Animal Shelter. Before I adopted Benji, all those years ago, I had grown up with bonny dog companions who were all purebred dogs adopted directly from the breeders. I was unaware of animal shelters, the notion of pet rescue, and ignorant about the great numbers of unwanted pets. Since then, the canine members of my family have all been rescues either adopted from shelters, unwanted products of unspayed neighbor dogs, or strays we couldn't bear to re-home. Most have been mixed breed dogs, but there have been some purebreds, too. According to the ASPCA, approximately 8-12 million companion animals enter animal shelters each year and approximately 60% of those dogs are euthanized nationwide. Less that 20% of shelter dogs are returned to their owners. Most of those returned were identified with tags or microchips. About 25% of dogs that enter local shelters are purebred. Adopting, rather than shopping for a dog means that not only has that life been saved, but there's more room in that shelter for another homeless dog. Visit your local animal shelter, surf Petfinder, or contact a dog breed rescue group to find your special canine best friend. Large dogs, small dogs. Purebred dogs, mixed breeds. They're all there just waiting for you. 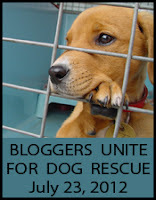 Bloggers Unite for Dog Rescue is a special online global event held today, July 23, 2012, that stresses the importance of dog adoptions. BTC4animals.com is proud to partner with Blog Catalog, Dog Rescue Success and pet bloggers to harness a global online community to help save the lives of dogs in need. We have to breed rescue dogs. It has been a great experience for all involved. Our Delilah is rescued and I'm grateful every day of my life. She was in a high kill shelter and I just can't imagine life without her. Great post Sue!! fabulous post!! so glad to see so many of us participating! Great post. Love the line about your best friends coming from behind bars. :) Mine too! I just posted my dog rescue post. Great to see so many involved! I enjoyed reading your rescued dog flashback! I absolutely LOVE this post... what a wonderful way to approach the event. I loved reading about your many wonderful best friends.